We know whiplash hurts. It keeps you from sleeping. It keeps you from working. It keeps you from taking care of yourself and your family. It costs real money to go to the emergency room doctor, chiropractor, physical therapist or osteopath to get treatment and relief, and it takes time to recover. Some Arizona lawyers shy away from cases involving soft tissue injuries such as whiplash. Not us. 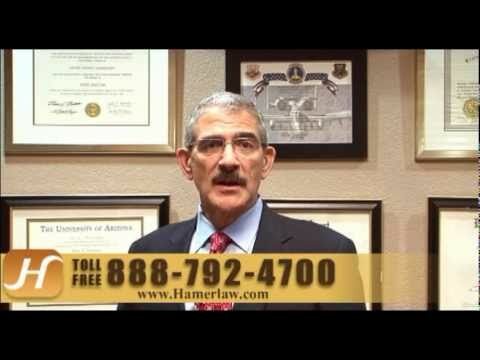 The team of experienced legal professionals at The Hameroff Law Firm in Tucson understands. Our job is to help you recover. We treat our clients with dignity and respect. If you suffered whiplash or any other serious soft tissue injury in an accident in southern Arizona, please Contact us today at info@hamerlaw.com to get the experienced and caring legal help you need. At our firm, an experienced lawyer will work with you one-on-one to set real expectations in your case. Our goal is to obtain the full and fair financial compensation you deserve for the cost of medical care, chiropractic treatments and any other physical therapy or rehabilitation you need. Call our offices in Tucson at 520.792.4700 or 1.888.792.4700 today to discuss your whiplash or soft tissue injury case with a respected Arizona personal injury lawyer. You also can email us now at info@hamerlaw.com with any questions or to schedule an appointment.